The Milwaukee Bucks (39-13 SU, 30-19-3 ATS) have the best record in the NBA, but they’re only fourth at +1100 on the NBA championship futures market. A win this Wednesday on prime-time ESPN should help raise their profile. The Bucks are rolling along with wins in four straight and nine of their last 10 games. They just finished up another successful road trip which included a win at the Washington Wizards. TV: 8 p.m. 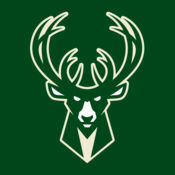 ET, ESPN, NBCS Washington, FS Wisconsin (Milwaukee) LINE: Bucks -11; O/U: 230. Milwaukee has two players on the All-Star team this year. No doubt it’s their two leading scorers: MVP candidate Giannis Antetokounmpo (28.9 points per 36 minutes) and Khris Middleton (20.1 points). Their “true” second-best player is point guard Eric Bledsoe who is averaging 19.3 points, 6.7 assists, 5.6 rebounds per game. He’s already been ruled out for Wednesday’s game with a sore left Achilles. Jason Smith (knee) and Donte DiVincenzo (heel) will also sit this one out. The Wizards (+12500 to win the title) are 9-9 SU and 11-7 ATS since they lost perennial All-Star John Wall to season-ending heel surgery. Bradley Beal has stepped up offensively and earned his second All-Star nod. He has a career-high 24.0 points per 36 minutes. Dwight Howard (back) and Markieff Morris (neck) remain out for Washington. They lost 131-115 to the Bucks on Saturday as 6.5-point home dogs. Milwaukee dropped the opener of its five-game trip at Oklahoma City on Jan. 27. They rebounded by blasting through Detroit, Toronto, Washington and Brooklyn by an average of 14.5 points. It was capped by Monday’s 113-94 triumph over the Nets. The Wizards surrendered 131 points in the loss to Milwaukee on Saturday. They were even worse on the defensive end in a 137-129 home loss to the Atlanta Hawks on Monday. Wizards All-Star shooting guard Bradley Beal is carrying a heavy load in the absence of fellow All-Star guard John Wall. He scored 20 or more for the seventh straight game with 27 on Monday. Shooting guard Jordan McRae didn’t find a spot in the rotation until last week, but is making up for lost time. He went 8-of-11 from the floor in 26 minutes while scoring 20 points on Monday. PG Tomas Satoransky handed out at least six assists in each of the last eight games. Milwaukee superstar Giannis Antetokounmpo collected 30 points on 12-of-19 shooting, 15 rebounds and nine assists in Monday’s win. He was most excited about his three blocks and a team defense that held the Nets to 32.4 percent shooting. That included only allowing 5-of-42 from 3-point range. Brook Lopez recorded at least one block in 10 straight contests and is averaging 2.1.